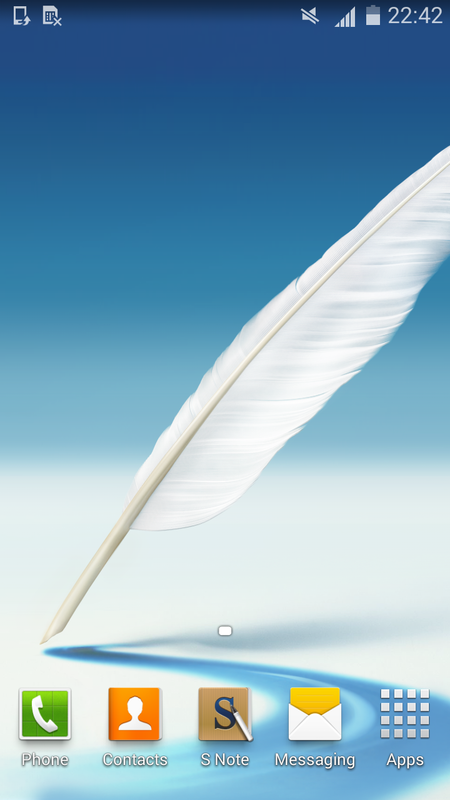 Sprint is rolling out an over-the-air update to customers who own a Galaxy Note II that applies a security patch or two from Google. What vulnerability this update addresses isn't detailed, but it's the first OTA Sprint has sent out since the big KitKat update last May. 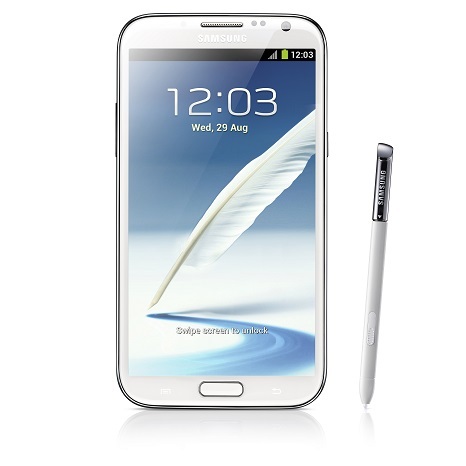 Once the goods arrive, they will leave your Note II running software version L900VPUCNK2. There's nothing else on the changelog, so don't go digging around looking for anything exciting. You can check for the update manually, but do so knowing that you're making your phone just a little bit safer. Don't do it because it's fun. Updates are not only for the latest and greatest phones, but they usually are. It's actually quite unusual to see a phone from a few years ago on a US carrier getting an update, but that's what's happening with the Samsung Galaxy Note II on Sprint. Rather, it will happen on January 6th. Update, 7-25-14: It looks like this over-the-air update was delayed for some reason. Samsung says it's coming in now. 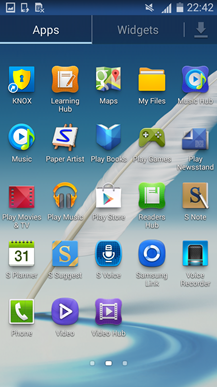 KitKat is making its way to the Galaxy Note II. We've seen it come to Sprint, and just yesterday it started rolling out to Verizon's version of the handset. Now US Cellular has updated the support page for its Note II to say that KitKat is on its way. The carrier is pushing out an over-the-air update that will bump the phone up to version R950VXUCNE2. 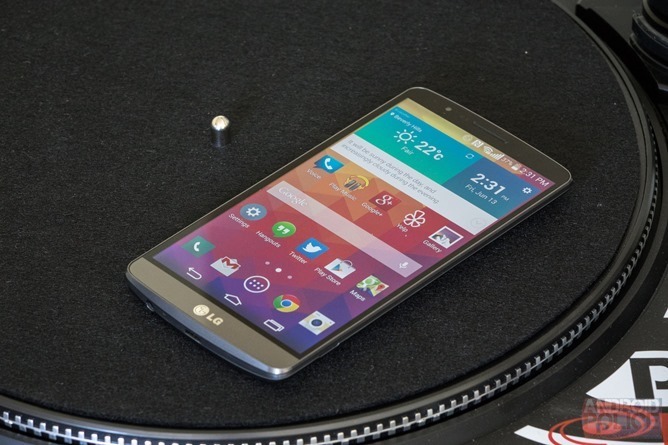 Following the update, the phone will sport Android 4.4.2. There isn't much to say about KitKat at this point that you don't already know. Samsung leaves no phone behind. Well okay, it does, but not all the time. I mean, certainly not a flagship device... usually. 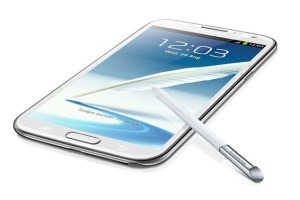 At any rate, the Galaxy Note II on Sprint is getting bumped up to Android 4.4 as we speak. Isn't that nice? 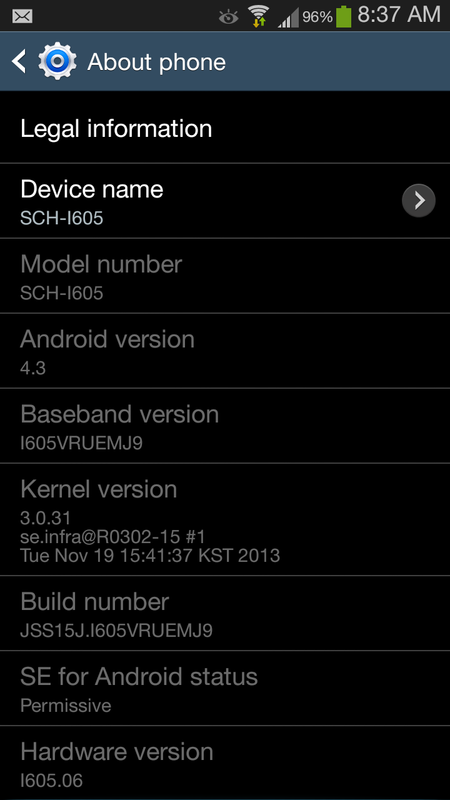 KitKat has started to come to the international variant of the Galaxy Note II. As SamMobile has reported, the update is currently available to users in France. It's an official build available through Kies, with no word yet on when an OTA is scheduled to go out. When it does, it should hit other regions as well. 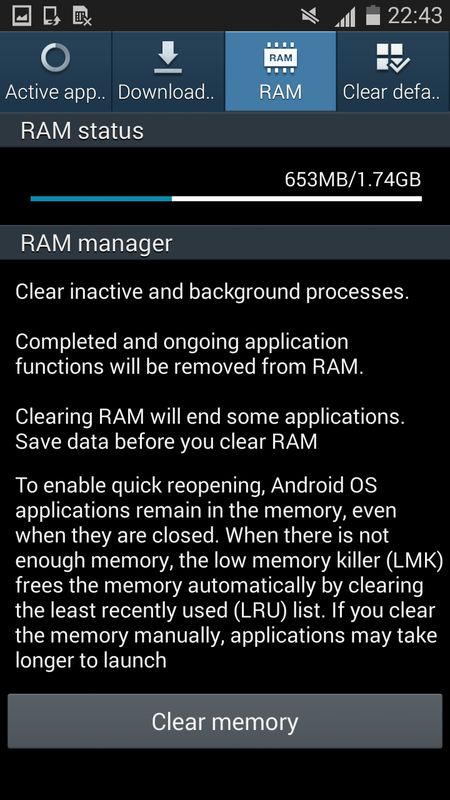 The update bumps the software version up to N7100XXUFND3. This update includes the goodies that come with Android 4.4, such as white status bar icons, a camera icon on the lock screen, and wireless printing. Samsung's own perks are included as well, including KNOX. Only a couple of days after coming to the Galaxy S III, Samsung's Android 4.3 update is now rolling out to Verizon customers wielding Galaxy Note IIs. This is the update that has been going around the block for a while now, having already made its way to Sprint and T-Mobile versions of the handset. It comes with the same goodies, including Galaxy Gear support. 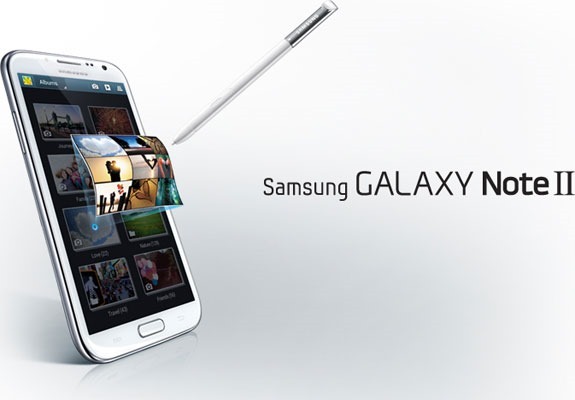 Along with Galaxy Gear compatibility, this OTA brings in the nuggets you expect with Android 4.3, Samsung KNOX integration, and updates to many of Samsung's pre-installed apps. These changes include enhancements for the camera, music player, S Voice, and more. 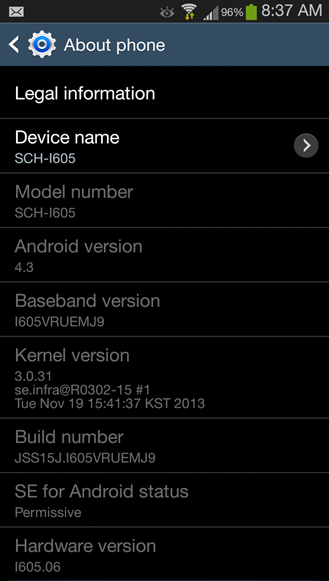 Samsung has been rolling out Galaxy Gear support to additional devices since the end of October, lumping the functionality in with updates to Android 4.3. A leaked schedule provided a timeline of when to expect various Galaxy handsets across the big four American carriers to get updated, and many OTAs started rolling out right on schedule. Others have not. 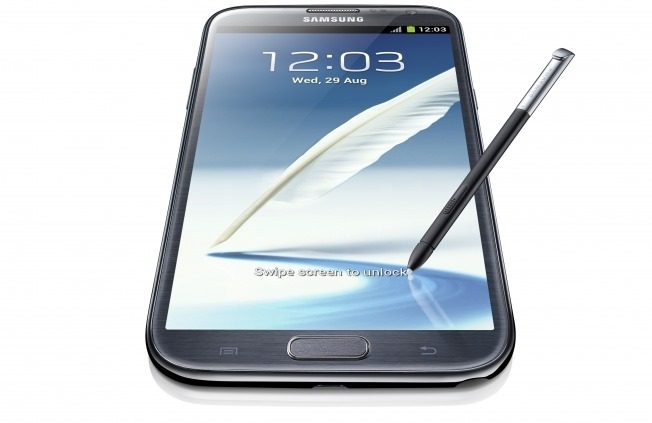 The AT&T Galaxy Note II's update has been somewhat of a tortoise, but it may soon cross the finish line, as the long-awaited OTA is finally inbound.